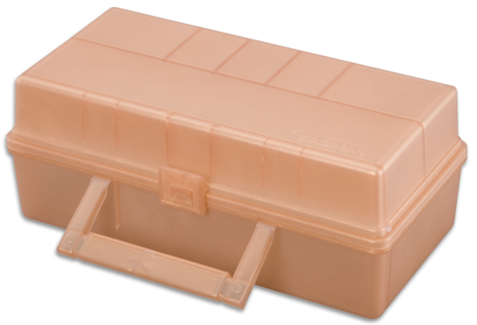 Clear inner cover secures contents of six-compartment “keeper” area and allows full visibility of contents. Built-in carrying handle conveniently folds out of the way and easily pops up for use. Available in light blue, metallic green and bronze.